1. Gourishankar S, Leduc R, Connett J et al. Pathological and clinical characterization of the «troubled transplant»: data from the DeKAF study. Am. J. Transplant. 2010 Feb; 10 (2): 324–330. 2. Gaston RS, Cecka JM, Kasiske BL et al. Evidence for antibody-mediated injury as a major determinant of late kidney allograft failure. Transplantation. 2010 Jul 15; 90 (1): 68–74. 3. Столяревич ЕС, Артюхина ЛЮ, Ким ИГ, Куренкова ЛГ, Томилина НА. Морфологические особенности позднего отторжения трансплантированной почки и их влияние на течение и прогноз нефропатии. Нефрология и диализ. 2012; 4: 242–252. Stolyarevich ES, Artyukhina LYu, Kim IG, Kurenkova LG, Tomilina NA. Morfologicheskie osobennosti pozdnego ottorzheniya transplantirovannoy pochki i ikh vliyanie na techenie i prognoz nefropatii. Nefrologiya i dializ. 2012; 4: 242– 252. 4. Mauiyyedi S, Pelle PD, Saidman S et al. Chronic humoral rejection: Identifi cation of antibody-mediated chronic allograft rejection by C4d deposits in peritubular capillaries. J. Am. Soc. Nephrol. 2001; 12: 574–582. 5. Regele H, Bohmig GA, Habicht A et al. Capillary deposition of complement split product C4d in renal allografts is associated with basement membrane injury in peritubular and glomerular capillaries: A contribution of humoral immunity to chronic allograft rejection. J. Am. Soc. Nephrol. 2002; 13: 2371–2380. 6. Sijpkens YW, Joosten SA, Wong MC et al. Immunologic risk factors and glomerular C4d deposits in chronic transplant glomerulopathy. Kidney Int. 2004; 65: 2409– 2418. 7. Feucht HE, Schneeberger H, Hillebrand G et al. Capillary deposition of C4d complement fragment and early renal graft loss. Kidney Int. 1993; 43: 1333. 8. Collins AB, Schneeberger EE, Pascual MA et al. Complement activation in acute humoral renal allograft rejection: diagnostic signifi cance of C4d deposits in peritubular capillaries. J. Am. Soc. Nephrol. 1999; 10: 2208. 9. Kerman RH, Susskind B, Buelow R et al. Correlation of ELISA-detected IgG and IgA anti-HLA antibodies in pre-transplant sera with renal allograft rejection. Transplantation. 1996; 62: 201. 10. Lee PC, Ozawa M. Reappraisal of HLA antibody analysis and crossmatching in kidney transplantation. Clinical Transplants. Los Angeles: The Terasaki Foundation Laboratory; 2007: 219. 11. Tait BD, Süsal C, Gebel HM et al. Consensus guidelines on the testing and clinical management issues associated with HLA and non-HLA antibodies in transplantation. Transplantation. 2013; 95 (1): 19–47. 12. Zachary AA, Ratner LE, Graziani JA et al. Characterization of HLA class I specifi c antibodies by ELISA using solubilized antigen targets: II. Clinical relevance. Hum. Immunol. 2001; 62: 236. 13. Pei R, Lee J, Chen T et al. Flow cytometric detection of HLA antibodies using a spectrum of microbeads. Hum. Immunol. 1999; 60: 1293. 13. Pei R, Lee JH, Shin NJ et al. Single human leukocyte antigen fl ow cytometry beads for accurate identifi cation of human leukocyte antigen antibody specifi cities. Transplantation. 2003; 75: 43. 14. Colvin RB. Antibody-mediated renal allograft rejection: diagnosis and pathogenesis. J. Am. Soc. Nephrol. 2007; 18: 1046–1056. 15. Hanf W, Bonder CS, Coates PTH. Transplant Glomerulopathy: The Interaction of HLA Antibodies and Endothelium. Journal of Immunology Research. 2014: 1–12. 16. Hidalgo LG et al. NK cell transcripts and NK cells in kidney biopsies from patients with donor-specifi c antibodies: evidence for NK cell involvement in antibodymediated rejection. Am. J. Transplant. 2010; 10: 1812– 1822. 17. Hirohashi T et al. A novel pathway of chronic allograft rejection mediated by NK cells and alloantibody. Am. J. Transplant. 2012; 12: 313–321. 18. Platt Jl. Antibodies in transplantation. Discov. Med. 2010; 10: 125–133. 19. Worthington JE, Martin S, Al-Husseini DM, Dyer PA, Johnson RW. Posttransplantation production of donor HLA-specifi c antibodies as a predictor of renal transplant outcome. Transplantation. 2003; 75: 1034–1040. 20. Hourmant M, Cesbron-Gautier A, Terasaki PI, Mizutani K, Moreau A, Meurette A et al. Frequency and clinical implications of development of donor-specifi c and nondonor-specifi c HLA antibodies after kidney transplantation. J. Am. Soc. Nephrol. 2005; 16: 2804–2812. 21. Terasaki PI, Ozawa M. Predictive value of HLA antibo￾dies and serum creatinine in chronic rejection: Results of a 2-year prospective trial. Transplantation. 2005; 80: 1194–1197. 22. Everly MJ, Rebellato LM, Haisch CE et al. Incidence and impact of de novo donor-specifi c alloantibody in primary renal allografts. Transplantation. 2013; 95 (3): 410. 23. Colvin RB, Nickeleit V. Heptinstall’s Pathology of the Kidney. Jennette JC, Olson JL, Schwartz MM, Silva FG, editors. Vol. 2. Lippincott-Raven. Philadelphia. 2006: 1347–1490. 24. Gloor J, Cosio F, Lager DJ, Stegall MD. The Spectrum of Antibody-Mediated Renal Allograft Injury: Implications for Treatment. American Journal of Transplantation. 2008; 8: 1367–1373. 25. Gloor JM, Cosio FG, Rea DJ, Wadei HM, Winters JL, Moore SB et al. Histologic fi ndings one year after positive crossmatch or AB0 blood group incompatible living donor kidney transplantation. Am. J. Transplant. 2006; 6: 1841–1847. 26. Dörje C, Midtvedt K, Holdaas H et al. Early Versus Late Acute Antibody-Mediated Rejection in Renal transplant recipients. 15 July 2013; 96 (1): 79–84. doi: 10.1097/ TP.0b013e31829434d4. 27. Gloor JM, Sethi S, Stegall MD et al. Transplant Glomerulopathy: Subclinical Incidence and Association with Alloantibody American Journal of Transplantation. 2007; 7: 2124–2132. 28. Sis B, Mueller T, Campbell P, Hunter C, Cockfi eld S, Solez K, Halloran PF. Transplant glomerulopathy, late antibody mediated rejection, and the ABCD tetrad. Am. J. Transplant [Suppl]. 2006: 469–470. 29. Иванова ЕС, Столяревич ЕС, Баранова ФС и др. Диагностическое значение антител к HLA при хроническом и позднем остром отторжении трансплантата почки. Нефрология и диализ. 2015; 17 (4): 437–444. 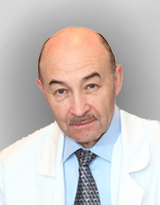 Ivanova ES, Stolyarevich ES, Baranova FS i dr. Diagnosticheskoe znachenie antitel k HLA pri khronicheskom i pozdnem ostrom ottorzhenii transplantata pochki. Nefrologiya i dializ. 2015; 17 (4): 437–444. 30. Martin L, Guignier F, Bocrie O, D’Athis P, Rageot D, Rifl e G et al. Detection of anti-HLA antibodies with fl ow cytometry in needle core biopsies of renal transplants recipients with chronic allograft nephropathy. Transplantation. 2005; 79: 1459–1461. 31. Dragun D, Muller DN, Brasen JH et al. Angiotensin II type 1-receptor activating antibodies in renal-allograft rejection. N. Engl. J. Med. 2005; 352: 558–569. 32. Taylor CJ, Kosmoliaptsis V, Summers DM et al. Back to the future: application of contemporary technology to long-standing questions about the clinical relevance of HLA-specifi c alloantibodies in renal transplantation. Hum. Immunol. 2009; 70: 563. 33. Shevchenko OP, Khalilulin TA, Shevchenko AO et al. Predictive value of PAPP-A, sCD40L, anti-HLA Antibodies detected by ELISA and Luminex in heart transplant recipients. The Journal of Heart and Lung Transplantation. 2014; 33 (4S): 135. 34. Rotman S, Collins AB, Colvin RB. C4d deposition in allografts: Current concepts and interpretation. Transplant. Rev. 2005; 19: 65–77. 35. Sis B, Jhangri G, Bunnag S, Allanach K, Kaplan B, Halloran PF. Endothelial gene expression in kidney transplants with alloantibody indicates antibody-mediated damage despite lack of C4d staining. Am. J. Transplant. 2009; 9: 2312–2323. 36. Haas M. Pathology of C4d-negative antibody-mediated rejection in renal allografts. Curr. Opin. Organ. Transplant. 2013; 18: 319–326. 37. Picascia A, Infante T, Napoli C. Luminex and antibody detection in kidney transplantation. Clin. Exp. Nephrol. 2012; 16 (3): 373–381. 38. Namba Y, Oka K, Moriyama T, Kyo M, Imamura R, Shi Y et al. Incidence of positive C4d deposition in long-term survival cases over 10 yr after renal transplantation. Clin. Transplant. 2006; 20 [Suppl 15]: 20–25. 39. Al Aly Z, Yalamanchili P, Cortese C, Salinas-Madrigal L, Bastani B. C4d peritubular capillary staining in chronic allograft nephropathy and transplant glomerulopathy: An uncommon fi nding. Transpl. Int. 2005; 18: 800–805. 40. Nickeleit V, Zeiler M, Gudat F, Thiel G, Mihatsch MJ. Detection of the complement degradation product C4d in renal allografts: Diagnostic and therapeutic implications. J. Am. Soc. Nephrol. 2002; 13: 242–251. 41. Torres IB, Salcedo M, Moreso F, Sellarés J, Castellá E, Azancot MA et al. Comparing transplant glomerulopathy in the absence of C4d deposition and donor-specifi c antibodies to chronic antibody-mediated rejection. Clin. Transplant. 2014; 28 (10): 1148–1154. 42. Lesage J, Noël R, Lapointe I, Côté I, Wagner E, Désy O et al. Donor-specific antibodies, C4d and their relation￾ship with the prognosis of transplant glomerulopathy. Transplantation. 2015; 99 (1): 69–76.